If you are a beginning quilter, one-on-one instruction in my home studio (or yours) is a wonderful way to learn. I have taught hundreds of students the basics of quilt making. 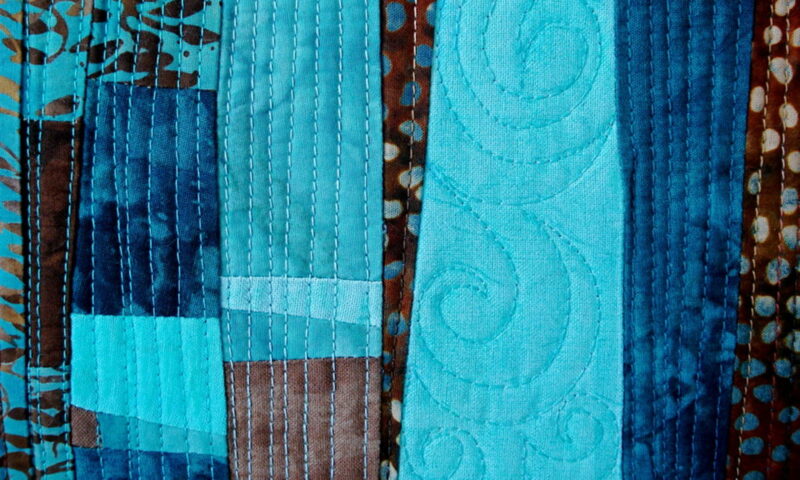 I believe it is important to build a strong foundation on which the many techniques and variations of quilting can be built. In other words, it’s important to learn to walk before you can run. It’s a special experience for me to “birth” a new quilter into the world. I take great care to do it in a manner that makes it comfortable, fun, and exciting, for a reasonable rate. It can be extra-fun to learn with a friend; semi-private lessons can be arranged at a reduced cost per person. Private lessons are a good way to sharpen a skill or to learn a new technique without the distractions that can be present in a group setting. Everyone learns differently; sometimes taking a lesson one-on-one, in a calm atmosphere, can be exactly the right format for learning. Over the many years that I have taught quilting I’ve discovered that some students are much better at learning when they aren’t worried about keeping up with the rest of the class. That added pressure to keep from falling behind can make it impossible to focus and learn. Private lessons may be the solution! I have had many years of experience teaching the skills and techniques listed above, as well as many other skills and techniques that are not listed. Take a look through my photos of students enjoying a class or workshop to see just how much fun it can be! Send me an email, and ask! I promise to be honest about my experience. I want my students to be satisfied at the end of a lesson! My hourly pricing is reasonable. I will also accept a pre-payment for a block of lessons at a reduced rate. Please send an email with your phone number and I will call you to discuss my pricing and availability schedule.